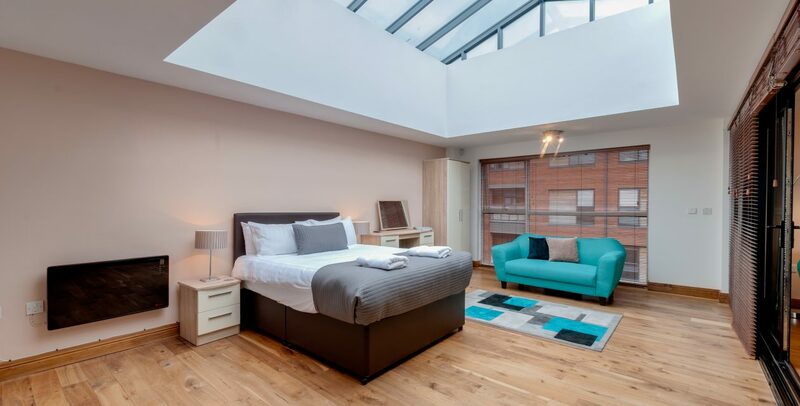 Base Serviced Apartments operates properties in five locations across Liverpool City Centre (where the head office is based) and one property in Chester. We offer a comfortable and affordable alternative to hotel-living when it comes to business trips or long/short term visits. Our aim is to provide our customers with a home-from-home experience while they are away and to make their stay as enjoyable as possible by having a caring and professional approach. 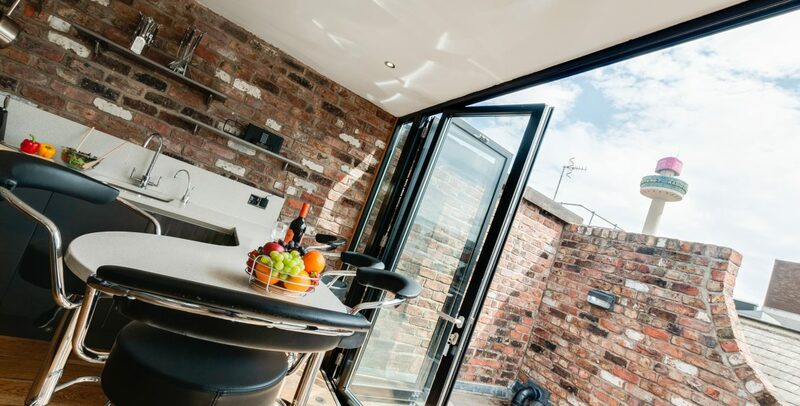 The East Village properties are situated in Liverpool City Centre, within the popular Ropewalks District, 10 minutes walk from Liverpool One shopping centre, and 15 minutes from the main waterfront attractions. 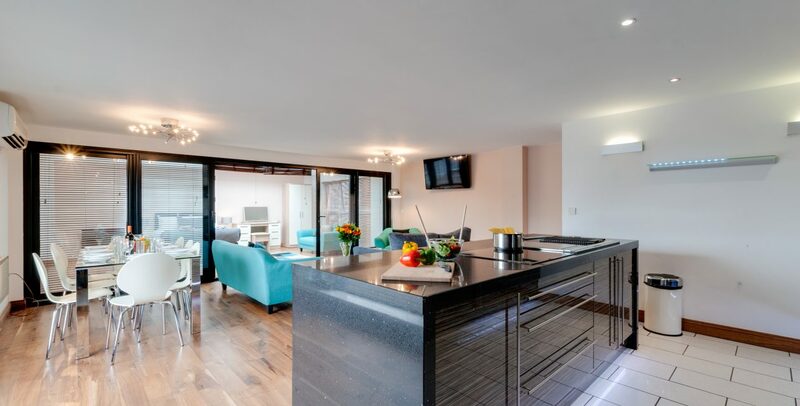 Within East Village, Base Serviced Apartments operates several units in 4 residential buildings; Hudson Gardens, Liberty Place, Staten Court and Manhattan Place. We offer a mixture of 1, 2 and 3 bedroom apartments; no units are located on the ground floor, although each block offers lift facilities. None of our apartments have any additional disability facilities at this time, however some are accessible. We look forward to welcoming you. 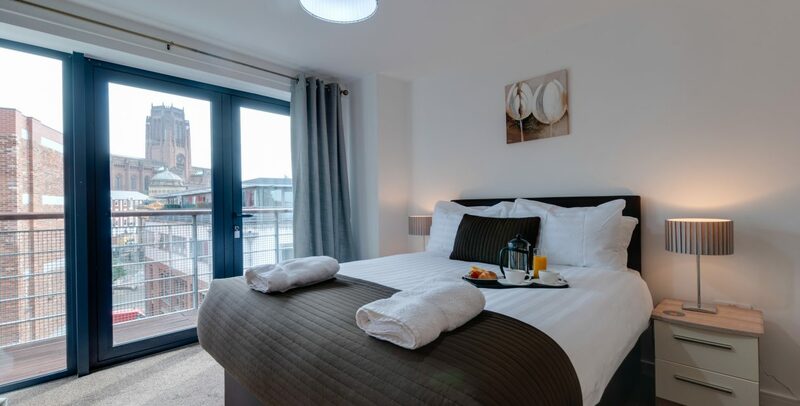 If you have any queries or require any assistance please phone 0151 7029222 or email info@baseservicedapartments.com. For full details and maps of how to reach our office to collect keys for all locations, please see the directions section of our website. Alternatively, you can plan your journey by car or public transport using www.google.co.uk/maps/dir/; simply enter your postcode and ours, which is L1 5BB, to get directions. The East Village location is at the same location as our office. The nearest train station is Liverpool Central, 0.4 miles away (9 minute walk, 6 minutes by car). The larger Lime Street Station is also very close, 0.6 miles away (12 minute walk, 6 minutes by car). Taxis are available at both stations, if you require an accessible taxi this can be booked in advance, see contact information for details. The nearest airport is Liverpool John Lennon Airport, 7.5 miles away from the office. The most direct way to reach the office from Liverpool John Lennon Airport is by bus; take the 500 bus from Stand 3 at the airport and alight at Liverpool One (25 minute duration). The 500 bus departs every 30 minutes. From Liverpool One there is a 10 minute walk to the office. The nearest bus stop to East Village is 82C, located on Berry Street outside St Lukes Church. There is a 3 minute walk from this stop to East Village and our office. There is a bus from Lime Street Station (stand GD), route 82, every 3 minutes from 5am – midnight. All buses can accommodate one wheelchair. Liverpool Shopmobility is based in 2 key locations in the heart of Liverpool City Centre, in Liverpool One and St John’s Shopping Centre. Any person with a mobility restriction is welcome to become a member and members can hire mobility equipment for holidays and day excursions. The streets in the area surrounding the premises consist of wide, level concrete pathways. There is easy access to the apartment blocks in East Village for deliveries of supermarket shopping; if you wish to have shopping delivered please contact our Reception team to provide the apartment’s full address. This Access Statement and our Terms and Conditions are available in larger print and in audio on request. All apartment keys are to be collected from our head office, Apartment 2, 136 Duke Street, L1 5BB. The office is located within the Hudson Gardens apartment block, and the entrance can be found at the rear of the Savina Restaurant, off Cornwallis Street. At the East Village location, underground parking is available on a ‘first come, first serve’ basis. There are no allocated disabled bays in this car park. To access Hudson Gardens via the car park, there are 3 steps (a portable access ramp is available from Reception). The underground car park surface is level concrete, and is well lit at night. To access Liberty Place, Manhattan Place and Staten Court blocks from the car park, the ground is level. The main entrance to the car park has an automatic gate (accessed via fob), and there is lift access to all floors from the basement. There is also on street parking directly outside the office entrance, on Cornwallis Street. 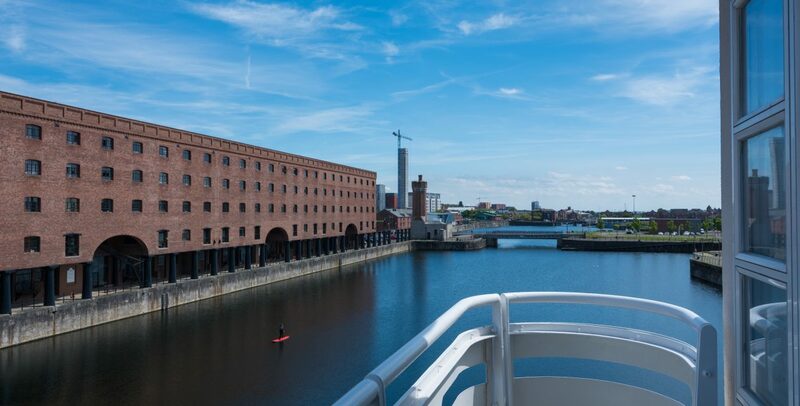 Blue Badge holders can park in any on street parking Pay and Display bays and in most of Liverpool City’s car parks free of charge, with no time limit. There are on street parking facilities reserved exclusively for Blue Badge holders at a number of locations in the city centre. There are 3 steps leading up to the office reception (with a handrail on one side), a portable access ramp is available, please call in advance of your arrival so this can be prepared for you. The main office door is manual, 76 cm (30 inches) wide, light to push and opens outwards. There is a dropped kerb around 15 metres from the office entrance. The reception area is well lit with fluorescent batten lighting. The floor surface is laminated, with a polyamide floor mat in place, covering most of the area. A magnifying glass, pen and pad of paper are available on request at Reception, and there is a sofa in the Reception area, which can be used as an alternative space for check-in. We do not offer porter services at this time, although between the hours of 08:00 – 17:30 a member of staff will always be available to assist with luggage. Outside of these hours is subject to availability. The main drop off point for East Village is on Duke Street, directly outside the main entrance to the East Village courtyard (the kerb is dropped outside the Sapporo Restaurant), or outside the office entrance on Cornwallis Street (which is a quieter road and has more parking available). All public areas, halls, stairs landings and lifts are well lit using a combination of ceiling and wall lights (fluorescent lighting is used in the lifts). Corridors are slightly dimmer, lit by wall lights. There are 2 lifts in Hudson Gardens (one for each side of the building), 2 lifts in Manhattan Place (one for each side of the building) 1 in Staten Court and 1 in Liberty Place. The lifts do not have audio announcements, or tactile buttons. There is a mirror on the back of each lift. No signage in the corridors has raised/tactile numbers, although the numbers on the apartment doors are raised. The refuge area for Hudson Gardens is located on the ground floor accessed via the courtyard. The refuge area for Manhattan Place, Liberty Place and Staten Court are located within the basement car park. The following information describes a typical unit within the East Village location. We do not provide additional disability facilities at this time, although some apartments are more accessible than others. Please contact our Reception team if you require any more information regarding more accessible units. The apartment external door widths are 81 cm in all East Village blocks. The apartment internal door widths are 78 cm in all East Village blocks. All public corridors are well lit, by wall lights. All measurements taken within the apartment are typical of a standard apartment within East Village. However, they may vary slightly from apartment to apartment (for instance the kitchen, bathroom and bedrooms), depending of the apartment location in the block and varying apartment layouts. The corridors are well lit with ceiling lights. 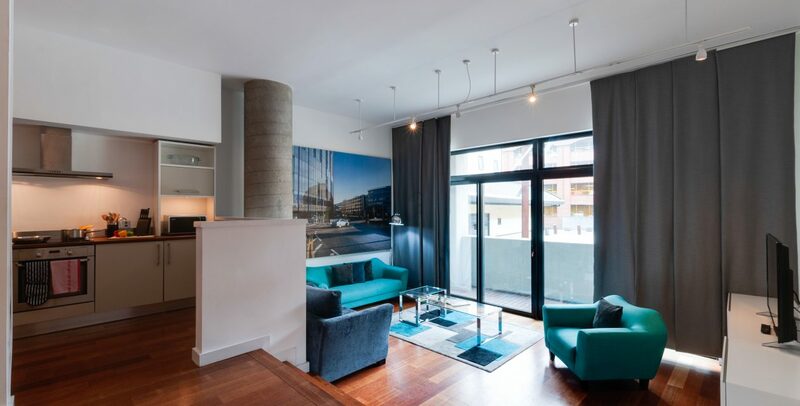 The living area within the apartment has a mixture of seating, with sofas, sofa beds, dining chairs and bar stools. All units are furnished slightly differently, for any advice regarding this, please contact our Reception team. The majority of furniture is moveable and can be rearranged if requested. Most dining chairs are without arms. There is a TV/DVD player in each apartment living area with subtitles and audio description available. Lighting within the living area consists of ceiling lights (in some cases spot lights) and floor lamps. The flooring is laminate throughout the corridor and living areas. Most units are on one level with the exception of the duplex penthouses, which are over 2 levels. Most kitchens within the units have a separate entrance to the living area, although some are more open plan in style. There are also dishwasher and washing machine facilities, integrated in the lower level cupboards. The work surface / food preparation area is 90.5 cm high. The highest shelf within a cupboard is 184.5 cm. The highest shelf within a fridge/freezer is 152.5 cm and the lowest drawer of the fridge/freezer is 13 cm. All crockery, glassware and other kitchen equipment can be moved to lower level shelving on request. Most sink taps located within the East Village kitchens are 1 lever basin mixer taps. However some apartment kitchens contain traditional turning basin taps, please enquire if you require a certain type. The kitchens are well lit, spot lights are used throughout, and there is also a separate light on the cooker hood. The flooring is tiled. Within the apartments, bedrooms are not numbered (the apartment main doors have raised numbers attached). All apartments in the East Village location contain double beds only. The majority of bedroom furniture can be moved, although some bedrooms contain built in wardrobes. Wardrobe rails are not adjustable. Each apartment differs slightly in size; most contain one larger bedroom and one smaller bedroom, which could be suitable for a personal assistant/carer or friend/family member. Each apartment living room contains a sofa bed, which could also meet these needs if required. Smaller bedrooms in the East Village location only have limited space each side of the bed (the smallest width being 60 cm). The larger bedrooms hold a transfer space of at least 115 cm on one side of the bed. The height of the beds from the floor to the top of the mattress is 71 cm. All beds are divan, with only 4 cm space under the beds. Rooms are bright and evenly lit, with ceiling lighting and table lamps on each bedside table. There is a good colour contrast between the floor, walls and doors; carpet is short pile. Some apartments have 1 bathroom only; some are en-suite (please contact Reception to request an en-suite bathroom). There is level access to all bathrooms; en suite bathroom internal doors are 78 cm wide. Main bathrooms in apartments have a shower over a bath. The height of the bath sides are 57 cm. The majority of en-suite bathrooms in East Village include a separate shower enclosure; there are raised lips to enter these showers, measuring at 29.5 cm. There are some exceptions where en-suite bathrooms contain only showers over baths; please contact reception if you require a separate shower cubicle. The height of the WC from the floor to seat is 40.5 cm. The height of the wash basin is 85 cm. All sinks have pedestals underneath. All taps within the bathrooms are traditional turning basin taps. Lighting in bathrooms are spotlights, and flooring is tiling throughout. Within the Hudson Gardens block, there is a Courtyard available to residents and guests. The courtyard has a level concrete paved surface, there is no seating available. Within the wider East Village complex, there are 2 additional courtyards surrounding Liberty Place, Manhattan Place and Staten Court. These courtyards are public, and the only seating available belongs to the restaurants that are situated within the complex. At this time, our team have not received any Disability Awareness Training. We are happy to welcome assistance dogs, and a water bowl can be provided on request. We also have an area where a mobility scooter can be charged, please ask at Reception. Clear signage is used throughout the East Village apartment blocks, with black letters on clear backgrounds. The nearest General Hospital with an A&E unit and walk in NHS facility is the Royal Liverpool University Hospital, 1.4 miles away. High speed WIFI is available in every apartment, free of charge. Please see Reception for more information. We can offer a list of nearby attractions and details of their Access Statements for information, where available.